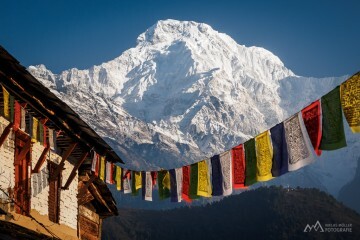 Nepal is, of course, famously known for trekking, mountaineering, and the world’s highest peaks. But there’s so much more to the country. 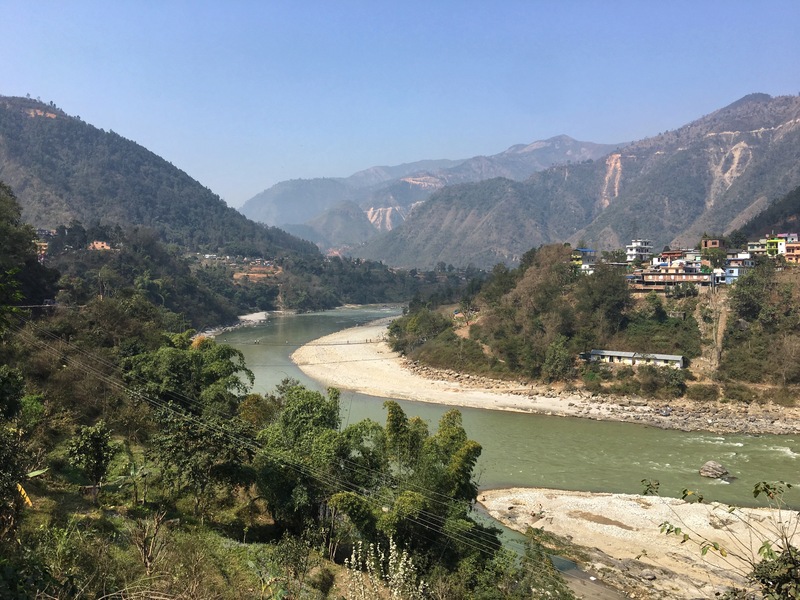 On a recent one-week tour of Nepal, I got to know the country just a little bit better by visiting homestays, villages, nature reserves, and national parks. Starting in Kathmandu, I stayed at Hotel Traditional Comfort and got my trip off to the right start with a Nepali vegetarian lunch and grilled local trout for dinner. The architecture of the hotel is true to traditional design details and wood work, inspired by the Newari pagoda style. (And by the way, did you know that the pagoda style of architecture that’s common throughout Asia was originally inspired by the Newari? This style is characterized by a tiered tower with multiple eaves.) Local craftspeople from Patan and Bungamati were hired to carve wooden beams, create bronze fixtures, and paint murals on the walls. With modern construction and amenities, the hotel lives up to its name as traditional and comfortable. I especially appreciated my spacious room and extremely comfortable bed. It was like sleeping on a cloud. 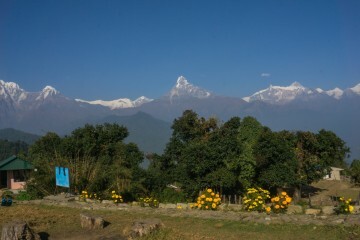 The next day, I was driven to Pokhara, where I stayed with Dhondup Dolma at the Tashi Ling Tibetan Refugee Camp. 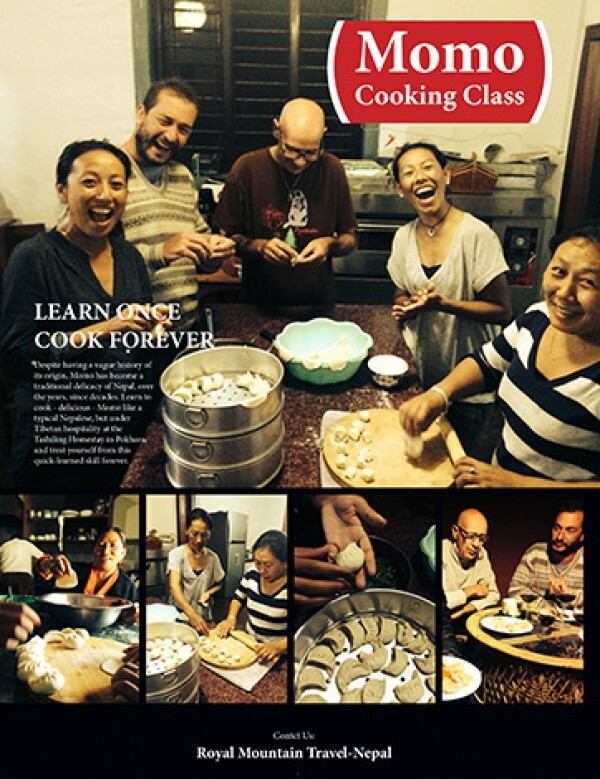 It may seem odd to host a homestay in a refugee camp, but it works. 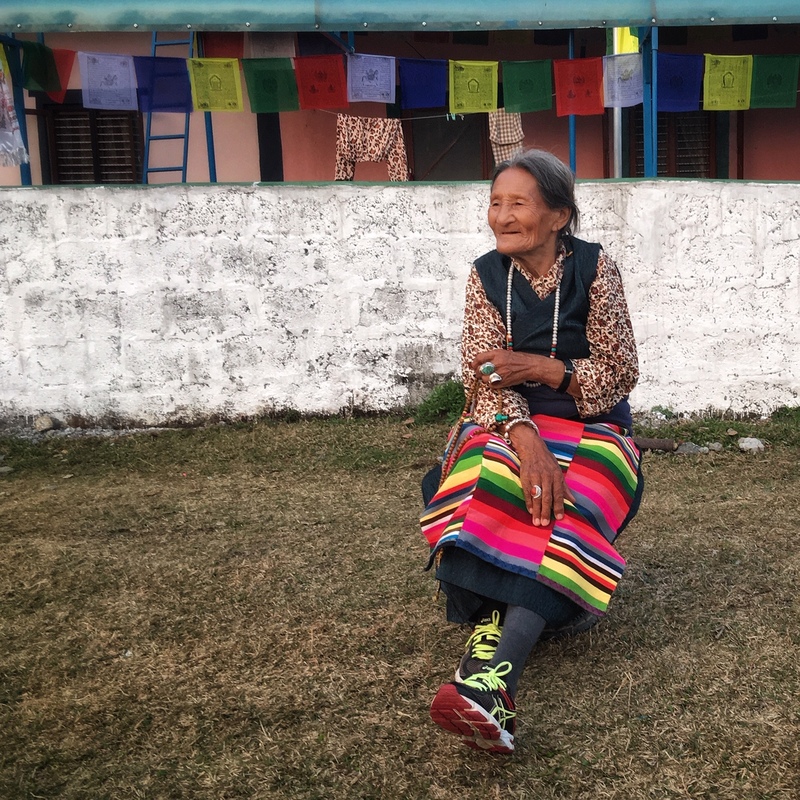 The camp was founded in 1964 and is the only home residents like Dhondup Dolma know: she was born there in 1976. As a consequence, it feels more like a small town or village. Dolma’s homestay is the only one in the camp. Dolma’s home is in the centre of the camp, alongside an open square of land with a Tibetan Buddhist temple in the middle. Her house is small, with a garden that backs onto the open square. In the garden, she has built a room for guests, with a modern bathroom right outside the door. It’s a lovely room, spacious, beautifully decorated, and very comfortable. I felt at home almost immediately, and I cannot tell whether it was the charming setting or Dolma’s warmth. She exudes a simple, open, hospitable attitude that is obviously true to her nature. I feel certain she could make anyone feel at home, even if they don’t have a lot of homestay experience. After dropping my things in the room, she made me tea for me and her niece Penpa Lhamo. 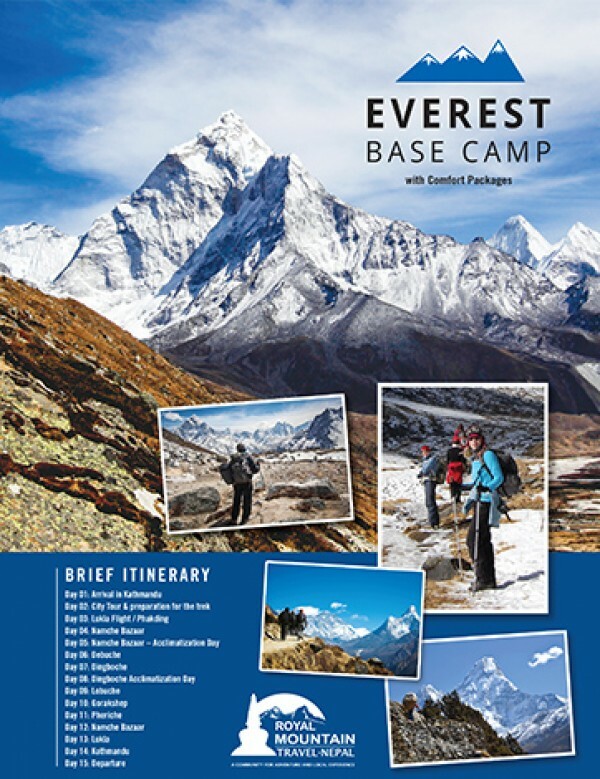 We were joined by my Nepali guide Meena Karki, from Pokhara, and together we worked out an itinerary. After tea, Penpa gave me a tour of the small camp. It seems almost self-sufficient with schools, a healthcare centre, a restaurant and guest house, a small monastery (just 27 monks, many of them playing soccer when we walked by at about 5 pm), retail shops selling Tibetan crafts, and a carpet-weaving centre. As I toured the camp, I stopped and talked to a few older residents who were warming themselves in the late afternoon sun. These elders were born in Tibet and were among the 150,000 who left in 1959, the same year the Dalai Lama made his daring escape. They have lived in Tashi Ling Camp ever since. When I returned to Dolma’s place, she was busy cooking dinner, and I helped by chopping onions, ginger, and garlic. 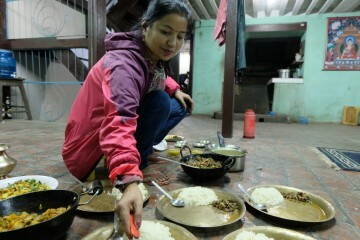 She served me a delicious home-cooked meal in her cosy kitchen: rice, dal, and curried vegetables – the famous Nepali dal bhat! I fell sound asleep that night, warmed by the food and the companionship. This cosy evening was followed by an adventure the next morning – which is just about my favourite combination. My guide Meena and driver Shyam Shrestha met me at Dolma’s place at 6 am, when it was still dark, and together we drove to the base of the Peace Pagoda. 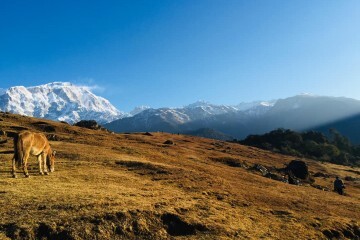 Meena and I walked up to the top and were almost the very first people there – there was just one other person, a young American man – and we watched the sunrise and the peaks of the Annapurna range appearing from the darkness, Fewa Lake and the town of Pokhara spread out below. It was a clear morning, just a few clouds, and we saw a spectacular sight. Meena and I spent the rest of the day meandering around Pokhara, visiting the caves and temples and boating on the lake. 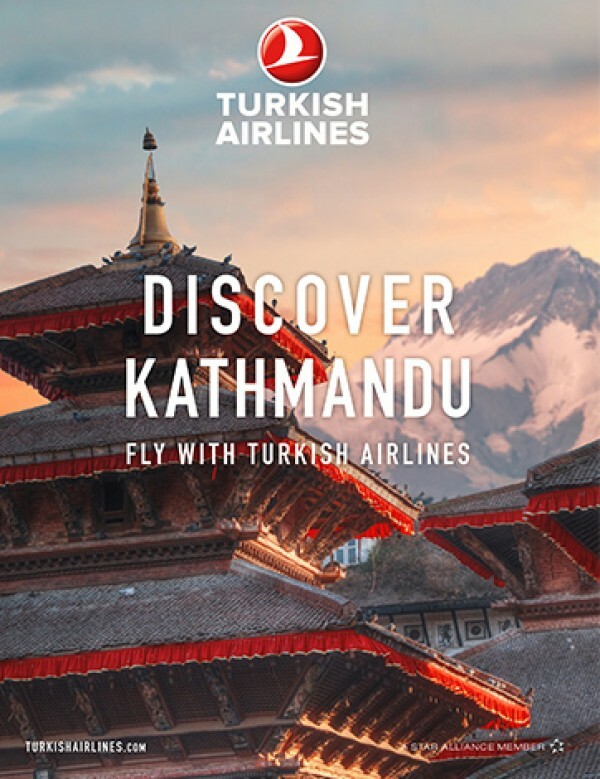 Pokhara is the jumping-off point for trekking, especially trekking the Annapurna range, and it’s a bustling city with a large tourist area called Lakeside filled with bars, shops, and cafes. One day there was more than enough for me and then I was on to my next adventure – Chitwan National Park. Chitwan was Nepal’s first national park, it was opened in 1973, and it is only one of two in the country located in the Terai, the lowlands. (The other is the Bardia National Park, and there are some reserves too, such as the Koshi Tappu Wildlife Reserve). A large park with several distinct landscapes, including a sal forest that occupies about 70% of the area, Chitwan is home to an astonishing range of flora and fauna. I have wanted to visit for a long time, so it was a dream come true for me. My first night’s stay was at Barahi Jungle Lodge, a place perfectly poised between comfort and adventure. 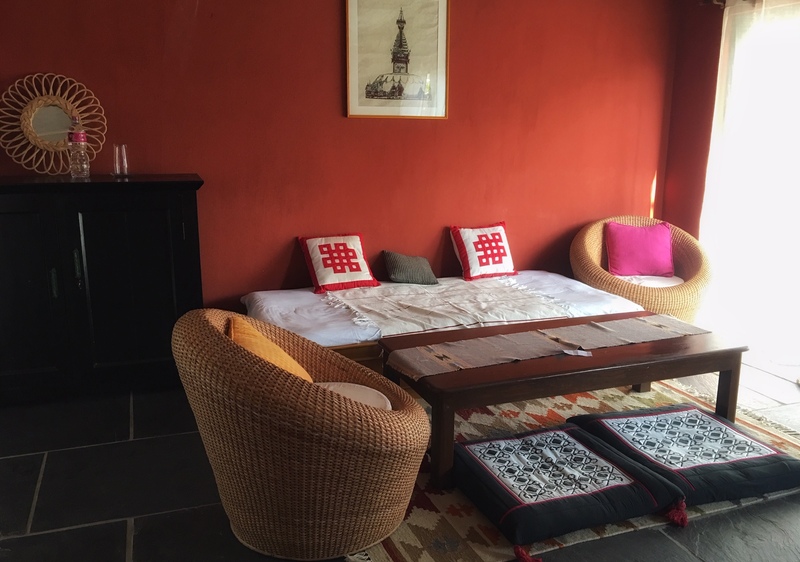 If you want a luxurious stay, that’s also environmentally friendly, and situated right on the edge of Chitwan – which is directly across the Rapti River – this is the place. Rhinos regularly graze on the property, birds flock to the lawns and river in front, and visitors enjoy a peaceful and natural experience. Barahi is not only a beautifully designed lodge, it’s also staffed with highly professional, well-trained, and friendly people. The naturalists are extremely knowledgeable and experienced, and they make a big difference. I went into the park with Govinda, a local guide with about 15 years of experience. For our first safari, we crossed the Rapti River by small boat to reach the jeep-like vehicle parked on the other side. For the next three-four hours, we drove through Chitwan without seeing another tourist vehicle. We did, however, see the Nepal army on guard – and partly because of their presence, there is zero poaching in Chitwan. During the course of our safari we saw one sloth bear, two domesticated elephants, three gharial crocodiles, four black one-horned rhinoceros’ and at least five male peacocks dancing on the road with their magnificent tail feathers on display. We also stopped for lunch at a lookout tower – and I was pleasantly surprised to be served rice and curried vegetables, plus fruit, juice, tea, and more. I had never seen a rhino before, so it was a particularly special safari for me. And it was a great sighting. A mother and child rhino were walking on the road towards us but out of sight. When they rounded a corner, they walked almost right up to our vehicle before seeing us. The mama rhino backed up skittishly and quickly whisked her young one away. I was surprised such large and bulky animals could be so light on their feet! On our next safari, we walked through the riverine mixed forest and saw spotted deer running across the path in front of us, several rare and endangered hornbills, and a rhinoceros in the underbrush. We backed up right away, and looked for a spot to hide, but luckily the rhino moved away. It was a thrilling moment and one of the reasons the walking safari was my favourite activity – and in fact my favourite moment in Nepal. Barahi managed to make things even more special by surprising us with a field dinner, and entertaining us with a performance by local Tharu dancers. The Tharu are a local tribe in this region of Nepal. On my last day, they also arranged for me to travel by small boat down three rivers to reach Barauli Community Homestay. 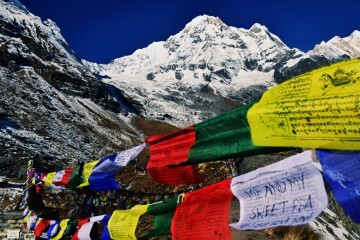 It was my second favourite activity in Nepal. The rivers bordered the park, and were largely uninhabited by humans, but we saw plenty of birds and wildlife. As a large rhino crossed the river in front of us, and crocodiles lazed on the river banks, I almost felt I was in Africa for a moment. When we reached the meeting point, a vehicle was waiting for me on the river bank, and we drove a short distance to Barauli and the Community Homestay. The boatmen had to push the boat against the current back to the lodge, and I didn’t envy them. Meanwhile, I was welcomed at the homestay by local women, who help run it. 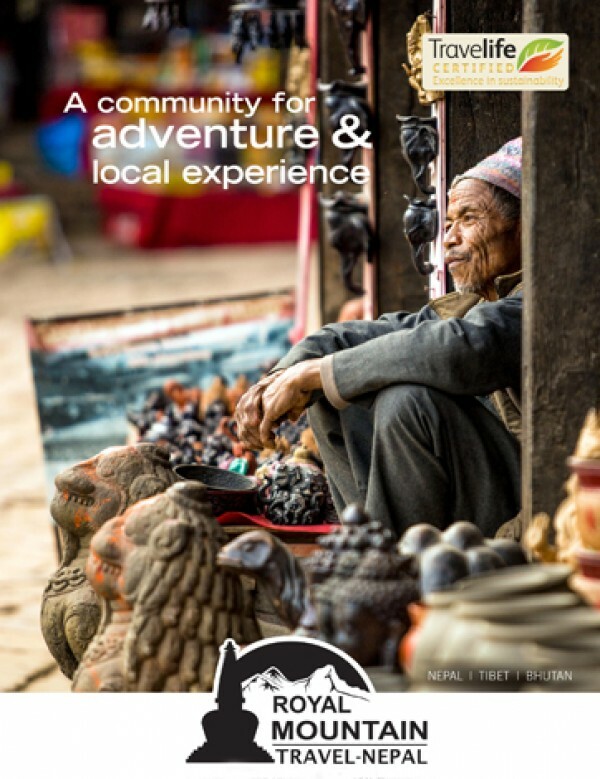 Community Homestays are a unique idea pioneered by Royal Mountain Travel. 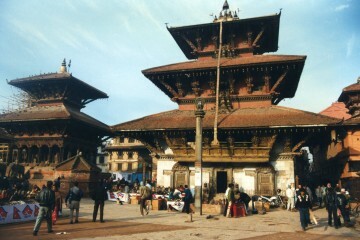 They are located in 11 communities throughout Nepal. 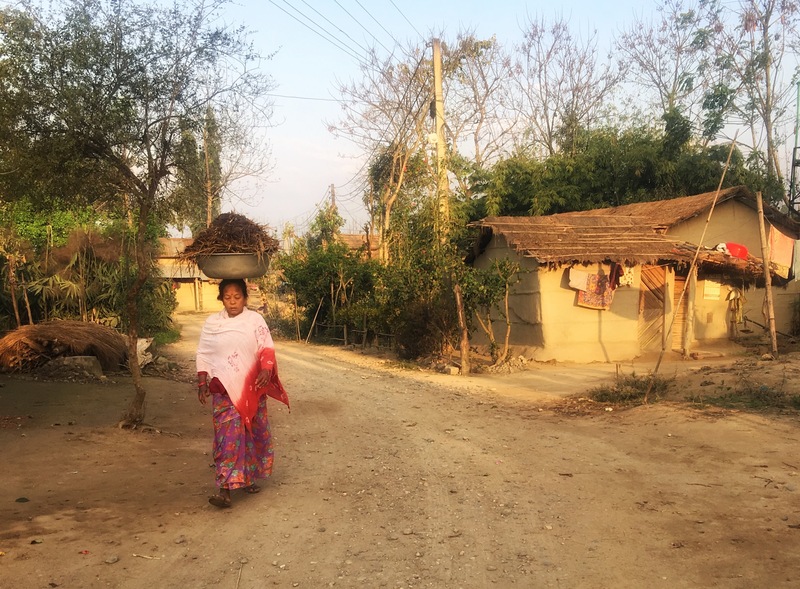 More than 160 homes and 700 community members are involved, though the project was design in large part to help empower women and create a sustainable livelihood for them. 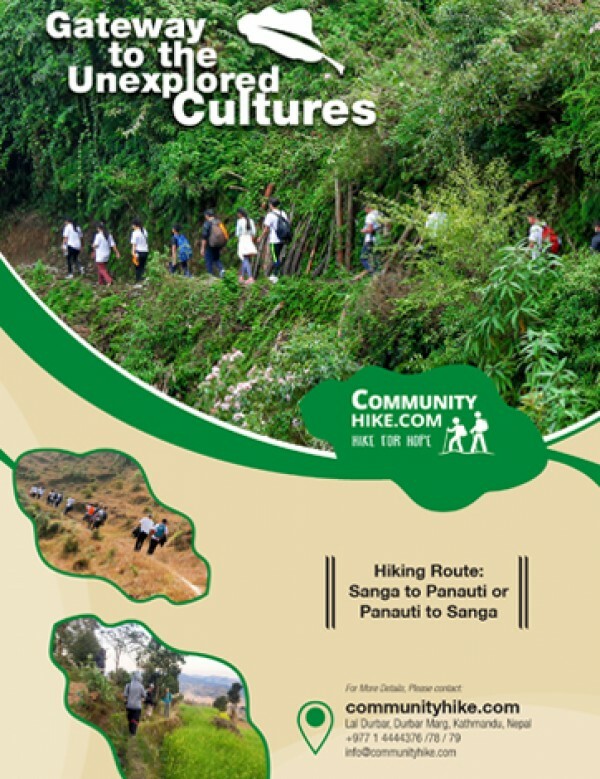 The beauty of the Community Homestays are that they provide so many benefits to both tourists and local people. 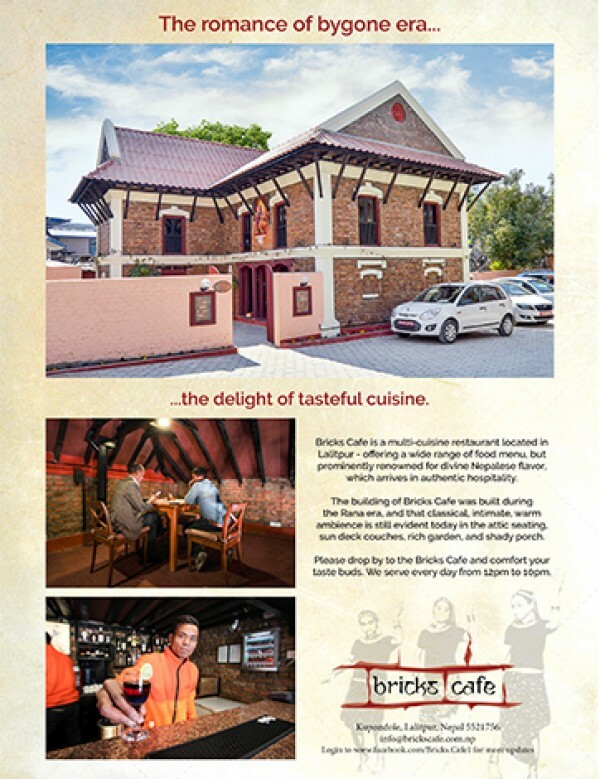 I was met by my guide Janaki in the community hall, a large purpose-built building that also serves as the dining room. I ordered my lunch – dal bhat of course – and we planned my activities. I went on a jeep safari in the community forest in the afternoon, and went biking through the village and down to the river for bird watching the next morning after breakfast. I also enjoyed a performance by young Tharu dancers – all students – and a slideshow about the flora and fauna in Chitwan. 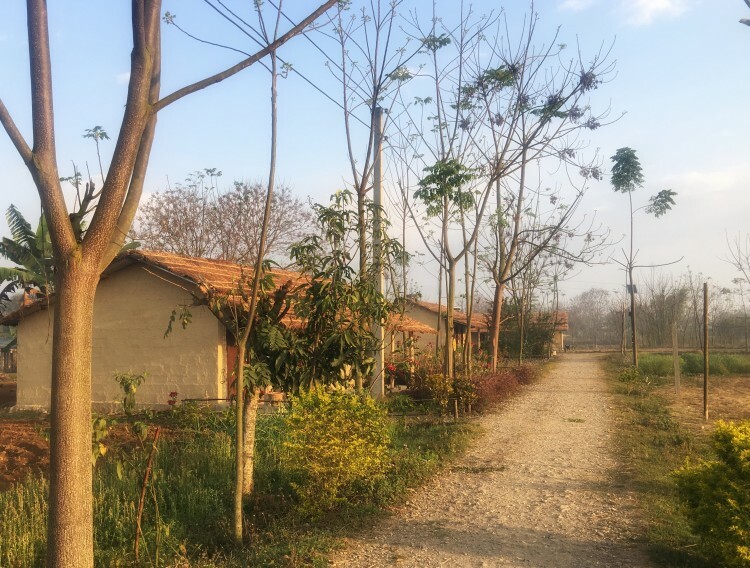 At Barauli Community Homestay, guests stay in huts built by the villagers. Each has comfortable beds, a modern bathroom, mosquito nets, and a small verandah, and each is named after the woman who owns the hut. I stayed in Binita. I was very comfortable in my hut, and I enjoyed sitting on the verandah to watch the sunset across the fields, and waking up in a peaceful village. Just walking around to see baby goats playing, tiny chicks following their mother, and the people of the village going about their daily chores was a unique and insightful experience. 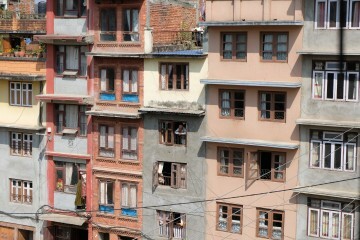 My last night in Nepal was spent at the Kathmandu Guest House, in Thamel – the tourist area of Kathmandu. 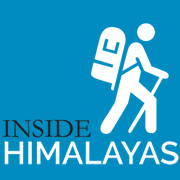 The Kathmandu Guest House is an institution. It was the only place to stay back in the day, and it’s now 51 years old and a treasure trove of history. 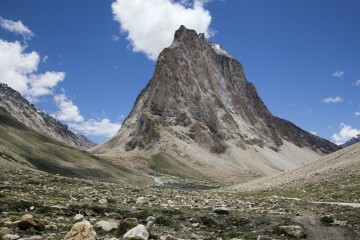 So many mountaineers stayed here before and after summiting Everest. And many writers and artists stayed here too. 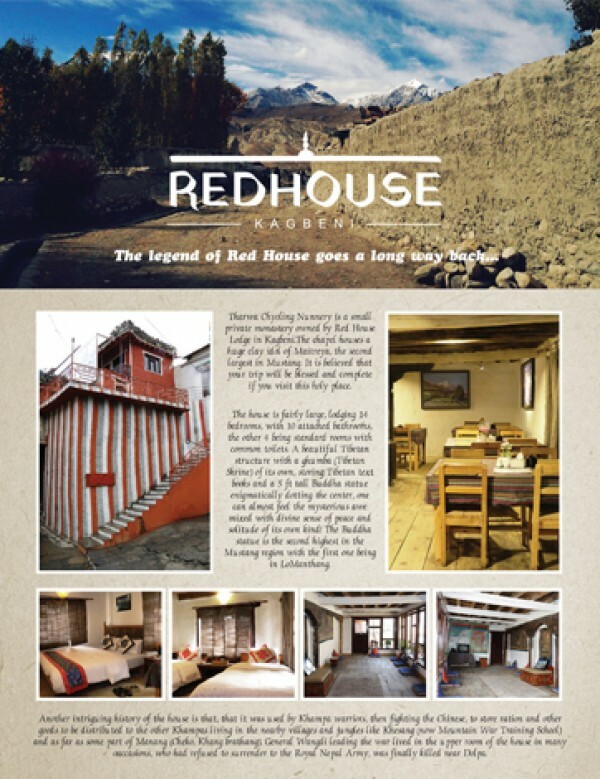 Peter Matthiessen wrote part of The Snow Leopard here — it’s one of my favourite books, all about his remote trek in the Dolpo region of Nepal. I was in the Peter Habeler room (he was the first to summit Everest without oxygen, among other mountaineering accomplishments), and the suite below mine was named after Sir Edmund Hillary. 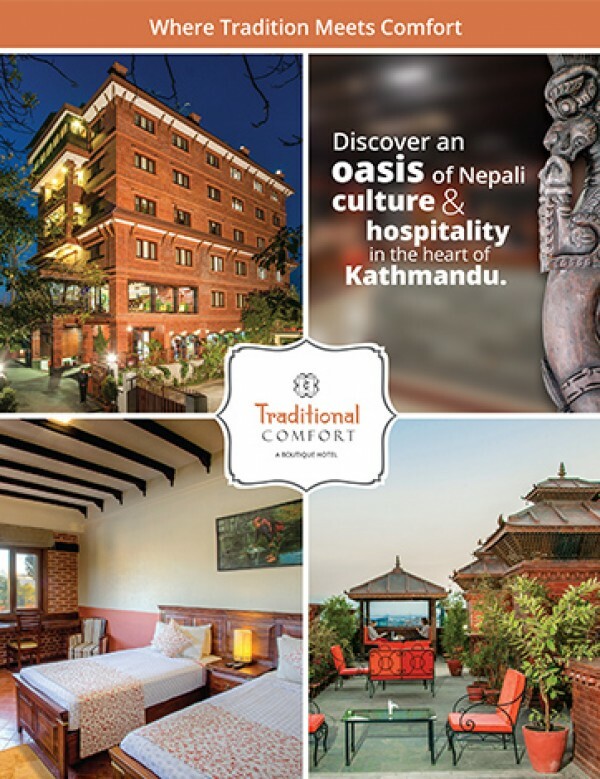 Kathmandu Guest House is a family business and I was lucky to have dinner in the garden restaurant with the charming CEO, Sunil Sakya. The large garden courtyard, right in the middle of teeming Thamel, is another reason this place is a treasure. It was a great end to a wonderful trip. I really feel I’m finally getting to know Nepal… and also feeling some of the magic of this beautiful country is rubbing off on me. I’m already making plans to return. 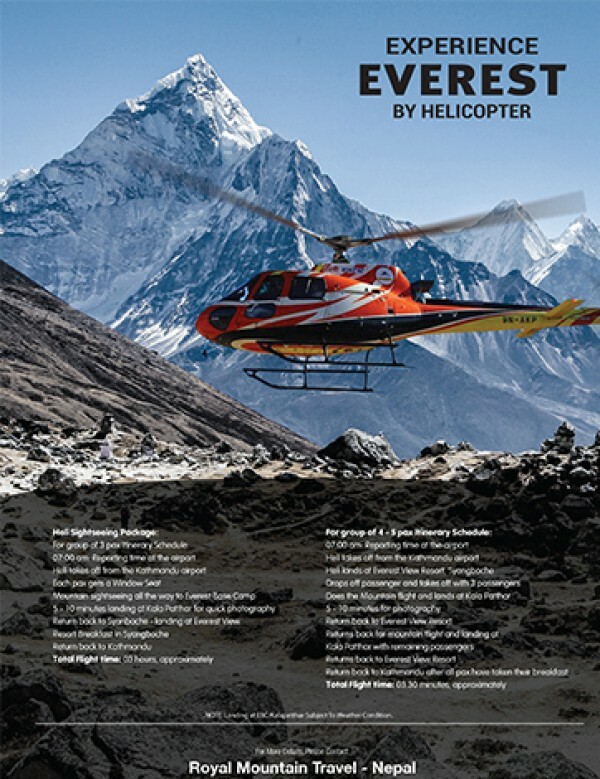 Article by Mariellen Ward, a digital storyteller who publishes the award-winning travel site Breathedreamgo.com, based on her extensive travels in India and South Asia. She has a BA in Journalism, has been published in leading media outlets around the world, and lives up in the clouds in Rishikesh, India.